We will miss our New England friends. Yes, we are moving to Austin...on Sunday. After taking a step of faith, logistics have fallen into place like dominos. For a while, I was waiting for "everything" to fall into place before moving by faith. Is this where God is leading? If so, salaries and people need to fall into place before I move my family. This is, of course, not how the heroes of the faith followed God. Abraham did not calculate God's providence and leading based on how he would get to the promised land and who would join him there. I confess, I haven't walked in the footsteps of Abraham very well lately. When reading Ps 139 a few days ago, I repented of unbelief in God's promise of omnipresence. Wherever we go, he will lead us: "Where can I go from your Spirit? ... If I go to the edge of the sea or take the wings of the dawn, there you will lead me, your right hand will be upon me." 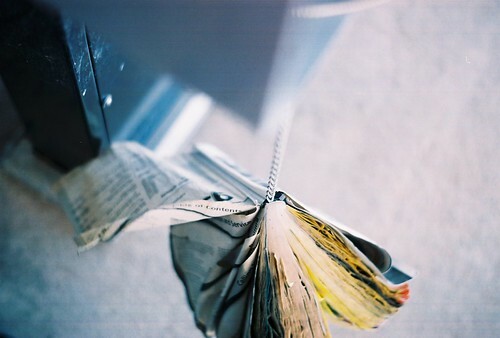 To be sure, many uncertainties remain. What two men will join me as the pastoral planting team? Where will the funds come from for start up costs and salaries? Who will join our launch team? What is the precise timing of launch? Yet, in the midst of this I know God's call. It is strong and sweet. And I am banking on his promise to lead me and a wife of great faith to follow me. 1. A refreshing and refining sense of call to churchplanting through conversation with my wife and others. 2. Exposure to a churchplanting network that has skillfully appropriated missiology for the N. American context, while retaining a sound, evangelical and reformed theological foundation. 3. A gospel-centered network that sees Jesus and the good news as the cure to a sin-sick church and culture. 4. A good session on missional preaching, including helpful comments on narrative exposition/preaching redemptive-historically by Darrin Patrick. 5. A practical session on establishing a “Religious Corporation” (501C-3). 1. Unclear communication about the assessment process and practical benefits in becoming an Acts 29 churchplanter, e.g. how is accountability fostered, when if ever will I get a coach, what is the best way to raise support within the network? 2. Very young group of assessors and leaders, but the leadership has to start somewhere! 3. Very little training on the “nuts and bolts” of churchplanting, e.g. how to develop and impart vision, selecting and preparing a launch team, networking for the kingdom, knowing your city/community, launch services, how to review the first year of churchplanting critically. **Philosophically, theologically, and interpersonally (great group of pastors) I would highly recommend Acts 29 as a churchplanting network, but would equally recommend that a churchplanter also pursue denominational or agency training on the nuts and bolts of churchplanting. 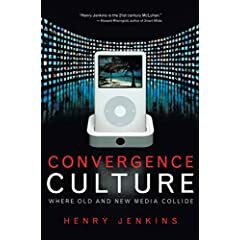 Henry Jenkins is the founder and director of MIT's comparative media studies program and author of numerous books on technology, media and culture. In Convergence Culture, he advances the idea that new media does not replace old media, but that all media learn to interact with one another in a complex relationship called "convergence culture." For example, T.V. does not replace radio, and internet, T.V., but rather, these media become integrated and shape one another to the extent that they spin out the same content in different forms--Garrison Kieller's "Prarie Home Companion," is first radio, then on the web, then in film. Each manifestation of the same content reshapes and influences it. Perhaps a more modern example is that of The Matrix, a film that has its prequel embedded in animae and its post-quel (?) in video games. 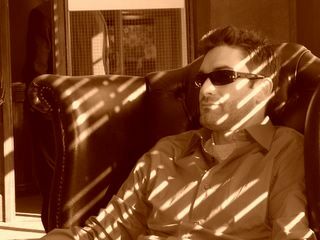 The content and story of The Matrix is present in three forms which allow the consumer increasingly complex and creative participation in the storyline. Jenkins develops the idea of culture convergence alongside the notions of collective intelligence and participatory culture. Collective intelligence is a term coined by sociologists to refer to the benefits of a community pooling its knowledge in a given subject in order to increase the understanding of each individual in the group beyond the limitations of any one individual. In the age of information and of culture convergence we are easily overcome by the steady stream of fact and fiction. Collective intelligence can help us sort through culture convergence. Participatory culture is evident in our desire to participate in our entertainment e.g. Survivor, American Idol, and Big Brother. These T.V. programs invite the audience to participate in entertainment through surviving, voting, or just living. As Jenkins writes, he aims at revealing the social and cultural impact of convergence upon our communities, industries, schools and governments. The cultural shift that this phenomenon is producing cannot be underestimated. It is influencing the way we think, act, vote, and live. Jenkins writes: Right now we are mainly using this collective power through our recreational life, but soon we will be using it for more 'serious' purposes ... changing the way religion, education, law, politics, advertising and even the military operate. The church must respond. What aspects of culture convergence should be embraced and brought into the church? Internet services, local community groups, interest-specific churches, and animated greeters are already in full swing. Can the collective intelligence of the church compete with the collective intelligence of consumers? Can participatory culture go too far in worship services? Artistic expressions in paint, clay and poetry during the preacher's sermons? Can media overload produce theological obscelence? "The to-and-fro in early Christian theology and poetry between creation and new creation, so underplayed in contemporary theology until very recently, offers in fact the matrix of understanding within which this freshly integrated vision of the task of a university and college can be understood. When, as has so often been the case, redemption has been understood in terms of escape from the world of creation, then of course Christian faith understands itself, and is understood by outsiders, in terms of a hiding away from the realities of the world. Faith and public life, religion and politics, private devotion and academic study, are then seen as antithetical. But where the fully biblical vision of God’s action in Jesus Christ is freshly understood in terms of God’s dealing with evil and corruption within the created order in order that the new creation may be born from the womb of the old – when, in other words, we embrace the vision of Colossians 1, built on the rocky foundation of the death and resurrection of Jesus in the way that this glorious Cathedral is built on the solid rock beneath us – then it becomes clear that those who claim that death and resurrection as the centre of their life, those who love Jesus and seek to follow and serve him, are called to be agents of new creation, and that this involves exploring, understanding and celebrating the old creation and discovering its inner dynamic in order the better to pioneer the new world in which the old is to find its glorious fulfilment."